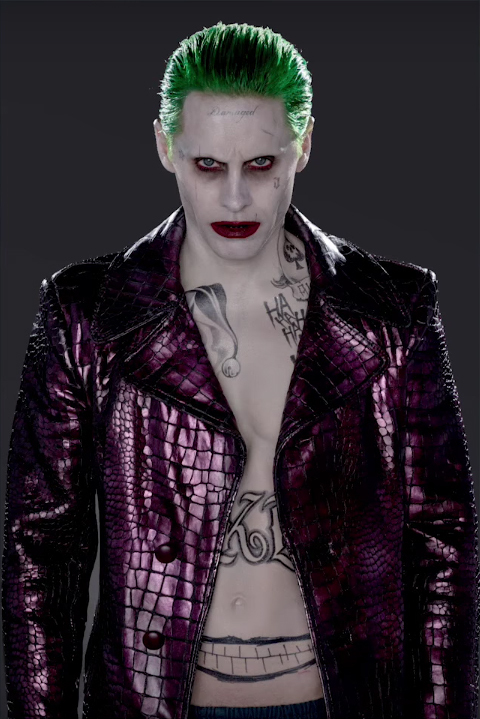 Character Promos - Jared Leto as The Joker. Capped from the DC's 'Squad Up! Cosplay Contest' video.. Wallpaper and background images in the Suicide Squad club tagged: photo suicide squad movie 2016 character portrait promo jared leto the joker. This Suicide Squad photo might contain goed gekleed persoon, pak, broek pak, broekpak, and kostuum broek.